Mai Bhagi was Sindhi Lok Geet Singer. Mai Bhagi was born on 1920 in Deplo Therparker Sindh. 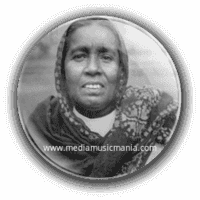 Her original name was Bhageri, and her father's name was Wanhiyal Faqeer and her mother Khadeja was also singer. Mai Bhagi got marriage when she was 16 years old with Hothi Faeer in Islam Kot Sindh. Mai Bhagi was shifted to Mithi Therparker in 1950. She was introduced by producer Shaikh Ghulam Hussain on Radio Pakistan Hyderabad and on Pakistan Television by producer Abdul Karim Baloch. Mai Bhagi won Pride of Performance and other main Sindhi awards and she called "Ther Ji Koel". She was great legendary Artist of Sindh she created great name in Sindh Music and she was artist of Sindhi Folk Songs. She was most popular Legendary Sindhi Classical Music, Sindhi Folk Music, Sindhi Lok Music Singer. She was great singer os Sindhi Lok Geet Lada Artist and she create great name in Sindh Music. Her most popular song "Chirmi Ro Bilal Saa" was very popular on Radio Pakistan. She belongs to very poor family, she sung Sindhi Lok Geet, Sindhi Folk Music, Classical Music and Sindhi Sehra on wedding and other ceremonies in different villages of Thar and other local areas. I have selected below most popular Sindhi Lok Geet and super hit songs of Mai Bhagi. Mai Bhagi started songs on Radio Pakistan in 1960. She was died on 7th July, 1986.